Pokemon Nature is a concept that was introduced in Generation III and has carried on until the current iterations of the games. Basically, any type of Pokemon can have one of the 25 available Natures. The Nature will determine what stats of the Pokemon will grow and what will not. Don’t worry as our guide will give you an idea as to which Pokemons you can have and use effectively depending on their nature. Adamant Nature increases Attack but decreases Sp. Attack. The flavor that they like is Spicy and dislikes Dry. When it comes to Adamant you may want Normal and Fighting type Pokemons to have this because most of the time they have default physical based attacks which is perfect for Attack. Plus a lot of Normal and Fighting don’t benefit much from Sp. Attack unless you let them learn specific TM moves that rely on Sp. Attack. Bashful is one of those types where it doesn’t have any kind of stat increase and decrease as well as flavor preferences. This would be ideal to have for a Pokemon that you may want to use all the time and make it into a balanced one in terms of the stats. Bold Nature increases Defense but decreases Attack. The Bold Nature likes Sour flavor and dislikes Spicy. This Nature is ideal for Rock and Steel type Pokemons. These guys are like tanks and the high defense can be beneficial. The other good thing is that these Pokemons rely mostly on Sp. Attacks so the decrease in Attack doesn’t affect them that much. Shuckle has the highest Defense stat among all Pokemons and it is a Rock and Bug type. Brave Nature increases Attack but decreases Speed. It likes the Spicy flavor but hates the Sweet one. Brave is ideal for mostly Normal type but as well as other Fighting and maybe even Rock types. A lot of these have high Attack but the Speed decrease is the issue. Normal Pokemon like Snorlax have high Attack but its Speed is bad. Then again a lot of these Pokemons have good and high Defense so they rely mostly on hitting and enduring. Calm increases Sp. Defense but decreases Attack. The flavor it likes is Bitter but hates Spicy. A lot of Legendary Pokemons have some of the highest Sp. 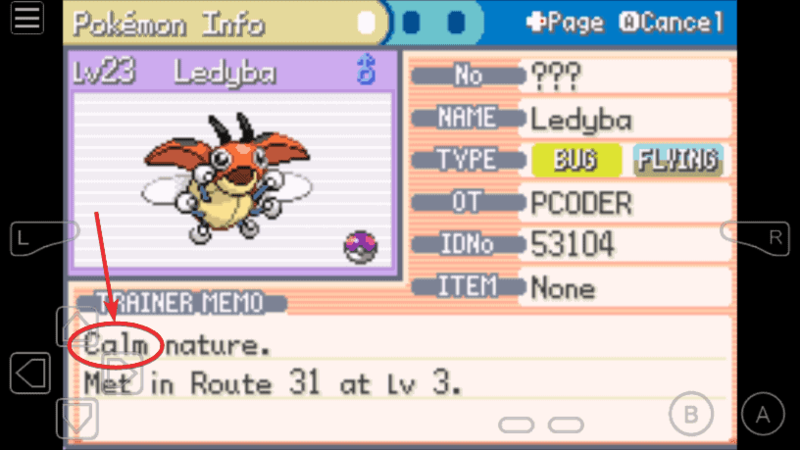 Defense but catching Legendaries over and over again until you get a Nature that you want may be tricky and tiring. This can be suitable for Pokemons that have dual types since Sp. Attacks would kill them more easily. Once again Shuckle has the highest Sp. Defense aside from Defense from all Pokemons. Careful increase Sp. Defense but decreases Sp. Attack. It likes the Bitter flavor but doesn’t like Dry. Careful can be good for certain Normal type Pokemons that have good Sp. Defense. That’s because these rely on mostly Attack rather than Sp. Attack. There are also Steel and Rock types that have traits like these. Docile is much like Bashful where it doesn’t have any bonuses and punishments. Get a Pokemon that you want to build off from this to make it into a balanced fighter. Gentle increases Sp. Defense but decreases Defense. Gentle likes Bitter but hates Sour flavors. This one is mostly common for Ghost type Pokemons. That’s because they are immune to physical attacks so having a low Defense due to the side-effect won’t bother Ghost types too much. Plus the boost in Sp. Defense is good since they are susceptible to the Sp. Attacks. Hardy is also a Nature where it is neutral as it has no bonuses and minuses to any of the stats of a Pokemon. Just wish you get a Pokemon that has this when you want to build it your way. Hasty increases Speed but decreased Defense. It likes the Sweet flavor and hates Sour. Pokemons that have high Speed can benefit from this but you have to take into consideration the Defense decrease. The ideal ones to have this would be certain Bird, Bug, Fighting, and Normal types. Bug types in particular mostly use Sp. Attacks that inflict Status Ailments like Poison so the ideal thing to do is use a Pokemon that have high speed and inflict a Status ailment and just swap them out. Impish increases Defense but decreases Sp. Attack. It likes the Sour flavor but hates the Dry one. Impish is good on certain Normal, Rock, Steel, and Fighting types. When their move list is mostly physical then it would be good since the Sp. Attack decrease is what lessens its impact. Jolly increases Speed but decreases Sp. Attack. Jolly loves the Sweet flavor but hates the Dry one. Jolly is a good Nature for certain Normal type Pokemons like good old Rattata. A lot of Normal Pokemons have good to high Speed and rely mostly on Attack so the Sp. Attack decreases wouldn’t be too much of a problem. Lax increases Defense but decreases Sp. Defense. It likes the Sour flavor but hates the Bitter one. The Nature itself is called Lax so you would think that Snorlax would come into mind This is, of course, a good example since Snorlax has high Defense and it can shave off a few Sp. Defense stats. It could be also beneficial to other Normal Pokemons since they don’t rely too much on Sp. Defense since they are weak to Fighting which is reliant on Attack. Lonely increases Attack but decreases Defense. It likes the Spicy Flavor but hates Sour. Lonely is usually ideal for Legendary Pokemons and maybe even some Dragon types. A lot of Dragon types have strong Defense and Sp. Defense to begin with so they can deal with the penalty. Mild increases Sp. Attack but decreases Defense. It likes the Dry flavor but hates Sour. Mild is good for Ghost type Pokemons since they can use a couple of Sp. Attacks and they are immune to Normal and Fighting which the won’t be effected from the Defense decrease. Modest increases Sp. Attack but decreases Attack. This Nature loves the Dry flavor but dislikes the Spicy flavor. Modest is good for Psychic, Fairy and Ghost type Pokemons. That’s because mostly these three types rely mostly on Special Attacks. Ghost types in particular can rarely learn Normal attacks hence the Attack stat is not as effective. Naive increases Speed but decreases Sp. Defense. Naive likes the Sweet flavor but hates Bitter. Naive is good for Pokemons that have single Types as well as certain Normal and Fighting Pokemons. The Sp. Defense decrease shouldn’t hurt Normal types too much since they are just weak to Fighting. Single type Pokemons also won’t suffer too much from the Sp. Defense decrease provided that they can benefit from the Speed boost. Naught increases Attack but decreases Sp. Defense. It also likes the Spicy flavor but dislikes Bitter. Naughty is good for mostly Normal types and maybe even Steel types. That’s because they have a small number of weaknesses from other Pokemon types hence the Sp. Defense boost wouldn’t be that painful. Quiet increases Sp. Attack but decreases Speed. Quiet likes the Dry flavor but dislikes Sweet. Quiet is good for mostly Psychic since they can dish out strong Sp. Attacks and most of the time they withstand a good amount of damage. Dragon types are also good since they are mostly tough hence having a good Sp. Attack stat is good. Quirky is again a stat that has no effect whatsoever so feel free to use any Pokemon with it. Rash increases Sp. Attack but decreases Sp. Defense. This one is good for Ghost and Psychic types and even a couple of Fairy types. They have to sacrifice Sp. Defense which is why this is also good on single type Pokemons. Normal Pokemons that can learn Special Moves can also be good. Relaxed increases Defense but decreases Speed. Relaxed likes Sour but hates Sweet. This is good for certain Pokemons that have high Defense to begin with. A lot of these could include Steel, Rock, and a couple of Dragon type Pokemons. Having good Defense lets them take the abuse in the first turn but since the Attack or Sp. Attack are not effected than that can be good. Sassy increases Sp. Defense but decreases Speed. It likes Bitter but hates Sweet flavors. Sp. Defense is often beneficial to Pokemons to have dual types since they are more weak to a lot of moves. The Speed decrease is what you should take into consideration. If you have a Pokemon that can hit hard then you can sacrifice the Speed for the Sp. Defense boost. Serious is much like Bashful, Docile, Hardy, and Quirky so it is a balanced Nature for you to build up on. Timid increases Speed but decreases Attack. It likes the Bitter flavor but hates Sour. Timid is good on Psychic and Bug type Pokemons. These guys don’t rely too much on Attack since they use Sp. Attacks and those moves that inflict status ailments so Speed can be a good boost for them allowing them to take the first turn and hit fast. Just keep in mind that these Pokemon Natures are somewhat hard to obtain. You can best deal with the Nature that you got on your Pokemon and build from it with the TMs and HMs that you can teach it. Getting a Pokemon combination of type and Nature might be tricky but you can always keep on catching them or just breed them if you can.